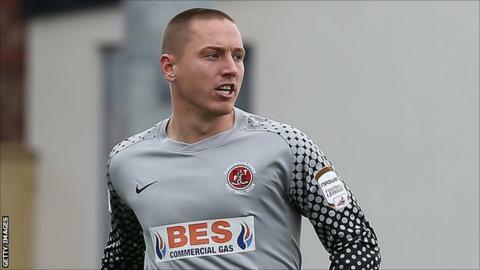 Fleetwood Town manager Micky Mellon believes Scott Davies is maturing into a top League Two goalkeeper. The 25-year-old, who has started all 10 games this season, pulled off a string of fine saves to earn his side a 0-0 draw at Bristol Rovers on Saturday. "He's developing very well into one of the best goalkeepers in the league," Mellon told BBC Radio Lancashire. "The best tribute you can pay to him is that you're not surprised when he makes good saves. He's a top goalkeeper." Davies, who played all 46 league games last season as Fleetwood stormed to the Blue Square Bet Premier title, has conceded just seven league goals this season, although five of those came in a single defeat by Port Vale.